Elisa S. Amore writes such beautiful, and moving love stories, that I am willing to say these books are destined to become clasdics. These books are ones that you will want to read again and again. Evan and Gemmas story makes the pages burst to life. Theis love story is so powerful on the pages she [Ms. Amore] wrote, that you will never want it to end. The background of these books also tell of the loves between his friends Simon and Genevra, and also of Drake and Stella, finding each other again.These books have every element needed in a book that will keep you on the edge of your seat waiting to find out what will happen next. I have read the books twice before and listened to these audio books which gets 5 ⭐⭐⭐⭐⭐ big.stars for the audiobook. The narrators done the books beautifully. If you love reading classic books then these books are ones that you will not want to miss. I'm very sure they are destined to become classics over time, and Elisa Amores' name, and books will be remembered, like Jane Austin's name, and books have been have been remembered. 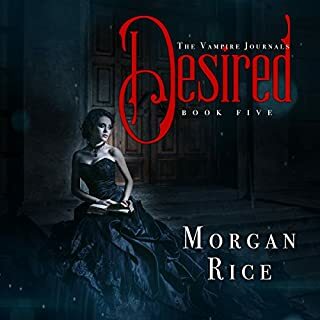 In Desired: The Vampire Journals, Book 5, Caitlin Paine wakes to discover that she has once again traveled back in time. This time, she has landed in 18th-century Paris, an age of great opulence, of kings and queens - but also of revolution. Reunited with her true love, Caleb, the two of them finally have the quiet, romantic time together that they never had. They spend idyllic time together in the city of Paris, visiting its most romantic sites, as their love grows ever deeper. Morgan Rice knows how to weave a story like no other book I've read about Vampires that pulls you right into their world. of Time Travel .as smoothly as. it does. I love the way that time travel is a part of the Vampires world. I find. 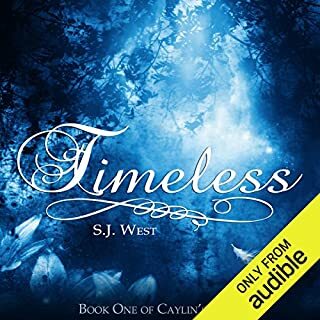 that to be a Unique Quality in the way this book is written in the world of paranormal and the way that time travel is so wonderfully blended together in this series. i have never read about Vampires and Time Travel like it is written in "The Vampire Journals" I have been listening straight from one book to the next. These books are very addictive once you start the first book. They are full of fantasy action adventure mystery drama and thrills all rolled into.to every book I have listened to so far and the next one just keeps getting better than the one before. I highly recommend this series to fans of Vampires and Time Travel. as you listen]you can easily imagine yourself right in the middle of the story being played out. This series is pure genious and one of a kind. original.You will love the idea of Vampires Time Traveling! To anyone who loves books about Angels, This 4 book saga is one of the best series I have ever read, hands down. 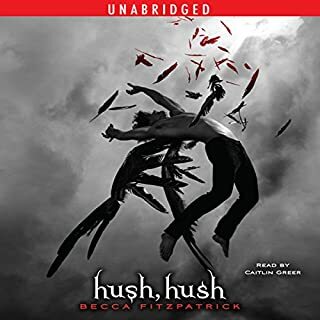 This is Becca Fitzpatricks finest work that I've read and listened to on audio. this series will be hard to top. A must read for anyone who loves books about Angels, fallen nephilim or ot otherwise. the whole five book series is a must have for your library it is one to be bred over and over. 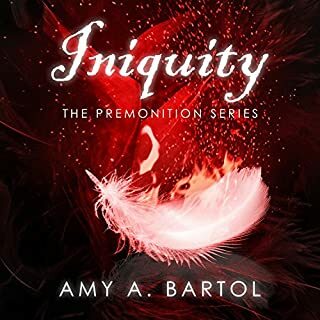 five cute stars for Amy bartol and this series. from the first page ok Fallen Crest Academy to the last page of Fallen Crest Forever I had a binge read on my hands. 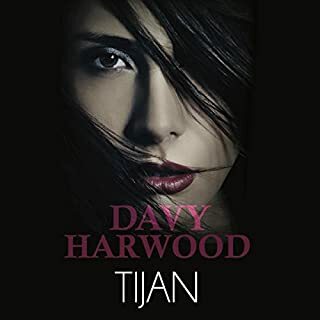 Tijan wrote such a beautiful story , starring Mason, Logan and Samantha and brought in so many more characters --- some loveable, som very unlikable --- that you felt every emotion possible as the series went on. when a story like this can pull you in so deeply because its so good. that you pull all nighters because you can't bear to pit it down or wait to see what will happen next then it's worth losing some sleep over. I want all 7 books in a hard copy box set, so I can read it all again. 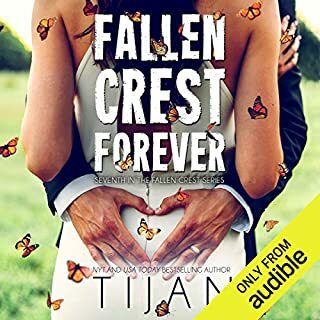 Yes it's that good and I would recommend the 7 book series as a must read..
Tijan doesn't disappoint readers with The Fallen Crest series. so if you like a book with a little bit of everything then this one will not disappoint.